As an excavator crashes down on a pile of cut trees, an orangutan leaps down a large trunk, desperately trying to stop the machine with his hands. He tries clinging onto the cold metal, but slips and falls down into the stack of trees that were once his home. The rain pours down as, shaking, he struggles to climb back up again. The entire forest around him had been destroyed. 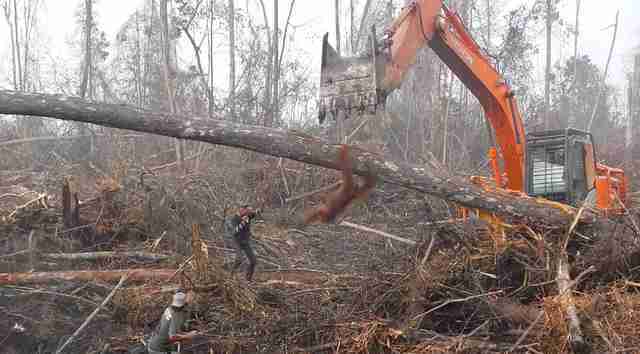 This was the heartbreaking scene caught on camera in West Kalimantan, Indonesia, recently as a construction crew demolished a section of the Sungai Putri Forest, a known habitat of critically endangered Bornean orangutans. 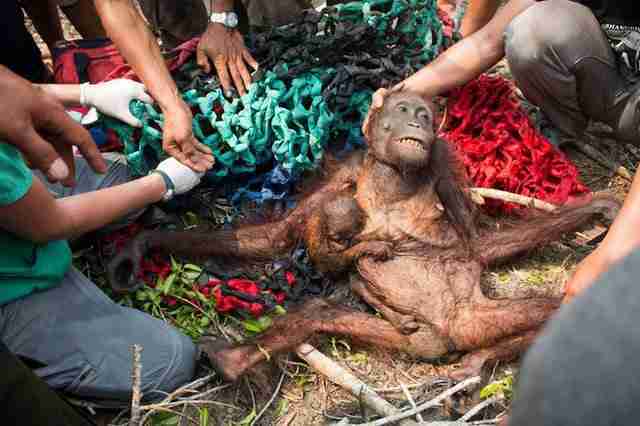 Luckily, International Animal Rescue (IAR) was nearby, and was able to save the orangutan and relocate him to a remote, protected area of forest. But his desperate plight shows just how far these animals have been pushed at the hands of humans. Sungai Putri Forest is one of the very few homes left for wild Bornean orangutans — but it’s under imminent threat from the expansion of palm oil plantations and other development projects. A recent investigation by Greenpeace Indonesia has revealed at least six illegal logging settlements exist in or near this specific forest. The logging is said to mostly take place at night, even in areas where mother orangutans have built nests to raise their babies. Since the 1970s, Bornean orangutans have lost more than half of their natural habitats due to logging operations like these. In addition to the apes’ homes being destroyed, many are at risk of being shot if they try to return to the land once a palm plantation is active. IAR is actively working on the ground in Indonesia on land conservation efforts to safeguard the orangutans’ homes. 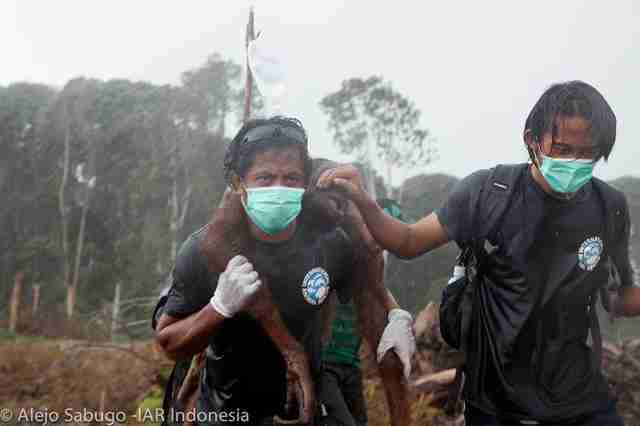 But as forests are continuously leveled by development, they need all the help they can to protect these precious apes. 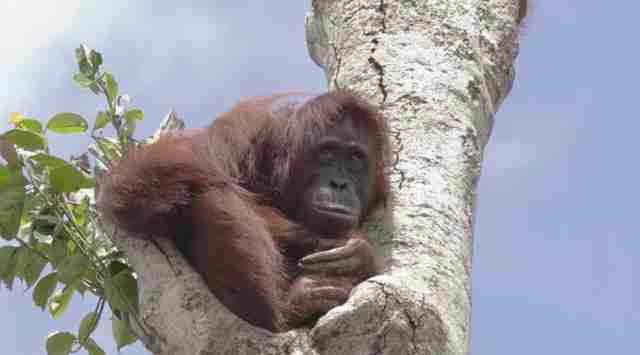 To help save Bornean orangutans, you can make a donation to International Animal Rescue. You can also spread the word about how palm oil destroys their habitats and avoid buying products that contain palm oil.